The South Arm Cooking Club for Seniors made the Best Cocoa Brownies for sales in a Christmas craft fair hosted at the South Arm Community Center. The proceeds from the sales will be donated to the Richmond Food Bank. 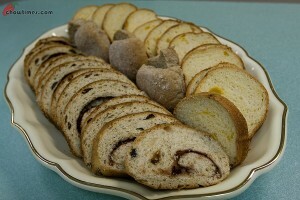 It is a good course for the Senior Kitchen. 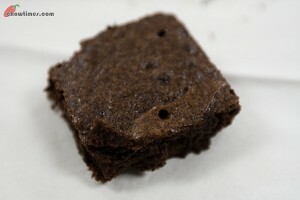 This Best Cocoa Brownies are not the dense type. It is light and cakey. The aroma of cocoa fills the kitchen when the brownies are being bake. While there were 3 pairs of people working on the brownies, 2 other members made a Butternut Squash Apple Soup for lunch. Charlene also brought some bread to go with soup. During lunch, we had an apple tasting and apple guessing game. It’s a fun way to know our apples. I can only distinguish Gala and Granny Smith. Can you name the apples above? 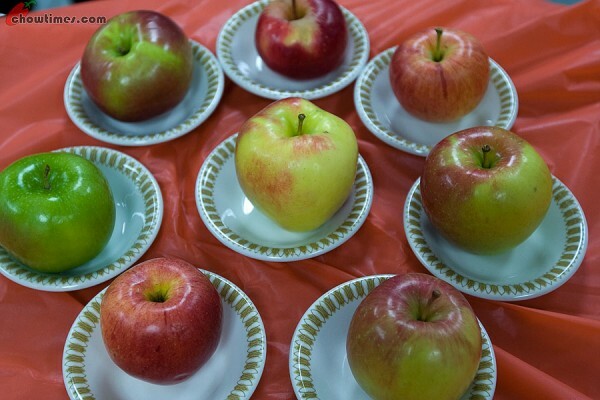 Click on the images above to review the name of the apples. 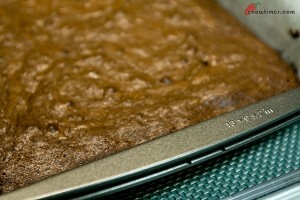 This recipe is taken from Alice Medrich and it makes 16 2-inch brownies. Polly had to drive her twin daughters to the Richmond Oval for a class field trip. It’s almost lunch time before Polly and I met for our cake meet. We had to go to somewhere nearby as we only have two hours before Polly have to pick her girls up from school. So, we headed to Steveston Village. 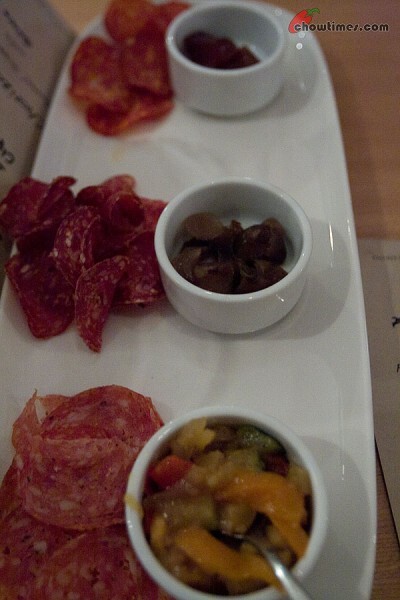 We decided to have a light lunch at Steveston Cannery Cafe located at 3611 Moncton St. 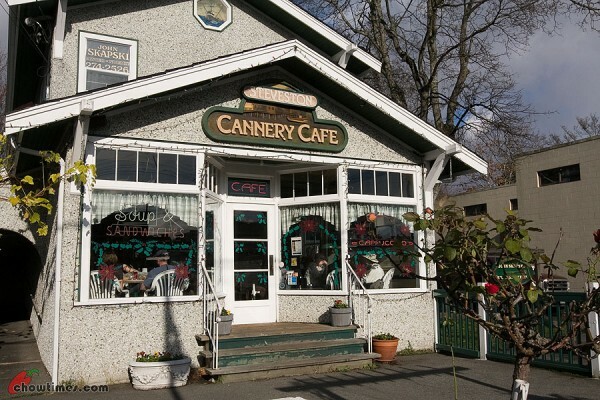 The Steveston Cannery Cafe is a cute building with very festives decorations on it’s windows. That reminds me of Christmas is coming soon. 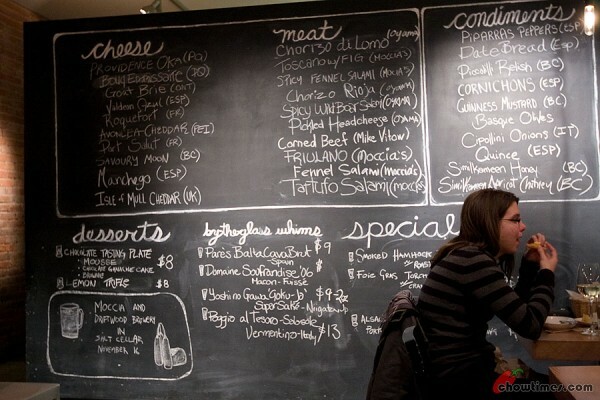 The menu is written on black boards high above the counter. It is a self service place. You place your order at the cashier, pay for your order and pick up your order there and then. 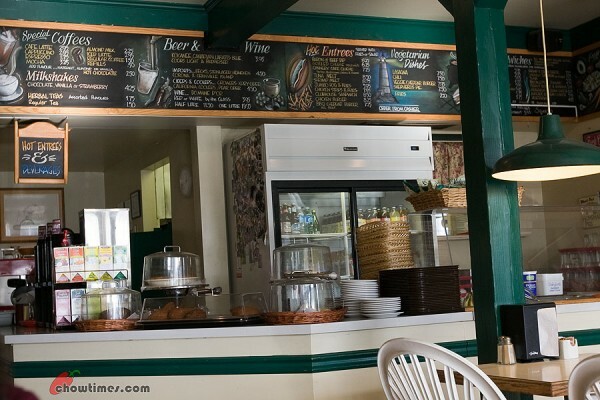 It is a very down to earth family run cafe. Since we wanted only light lunch, we had the Soup of the Day which is squash soup each. 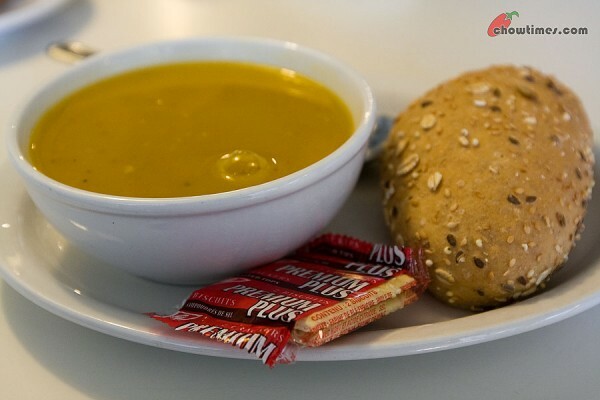 The soup with a seedy roll costs $4.65. You can just have the soup alone which costs slightly less. The squash soup is slightly spicy with lots of pepper. 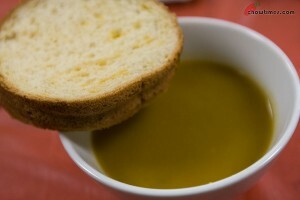 If you like squash soup, try out this Butternut Squash Apple Soup recipe. 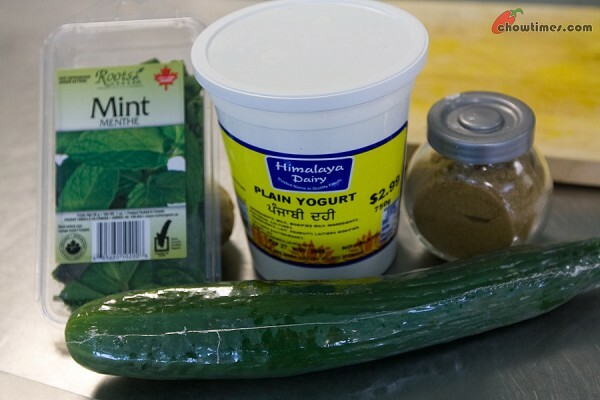 Minoo also made an Indian side dish for the Indian theme at the Caring Place Community Kitchen. It is called Raita. 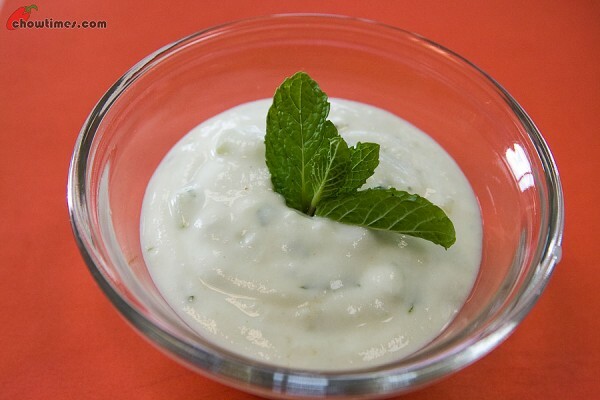 Raita is a yogurt sauce or dip kind of side dish. 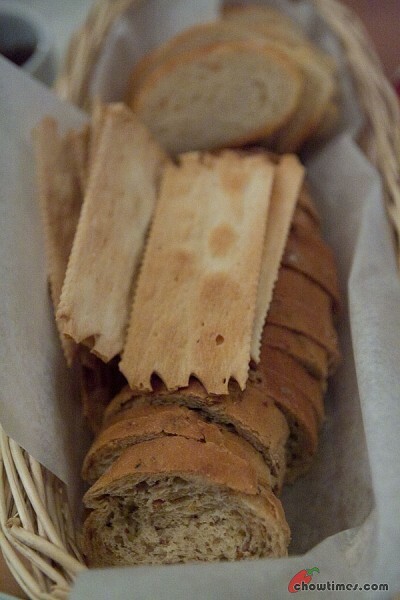 It is very similar to Greek’s tzatkiki. I guess this side dish acts as a cooling agent when you have spicy main dishes. 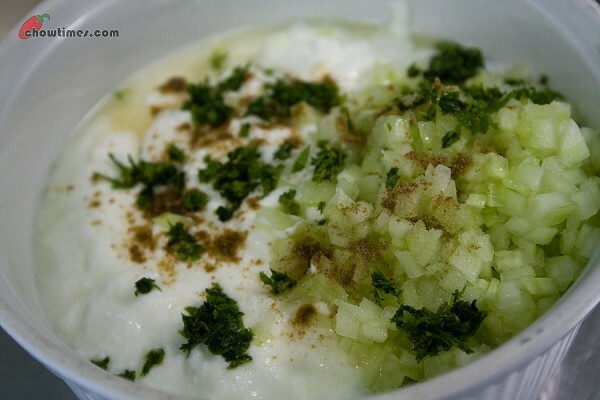 Add diced cucumber and chopped fresh mint to the yogurt. Season with cumin, salt and pepper. Minoo, thank you again for bringing us a simple culinary tour of the Indian cuisine. I had just blogged about an Arabic Lentil Soup recently. Here is another version of Lentil Soup. 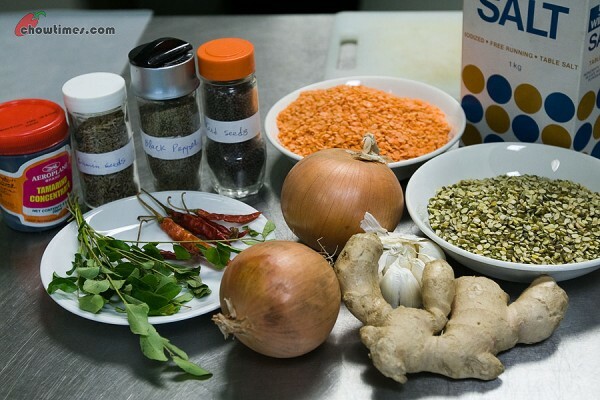 Minoo made an Indian version of Lentil Soup at the Caring Place Community Kitchen. Lentil is comfort food in India and it is a daily diet as a lot of the population are vegetarian. 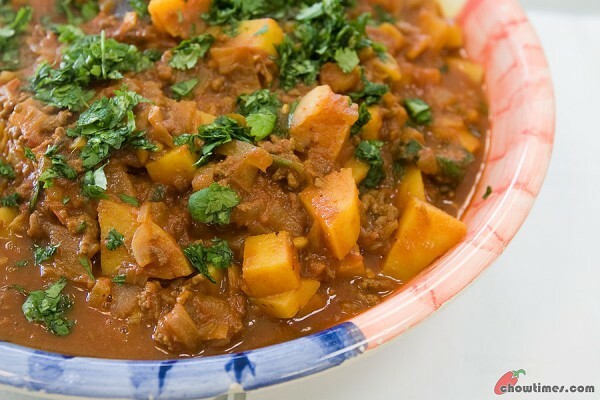 Lentil is rich in fiber and protein. 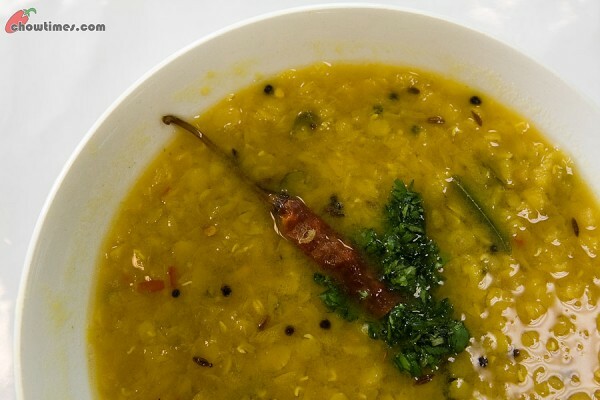 Indian Lentil Soup differs from others not only on the use of spices but the way the spices are added to the Lentil Soup. The sizzling action of adding the fried spices at the end of the cooking process makes the difference. 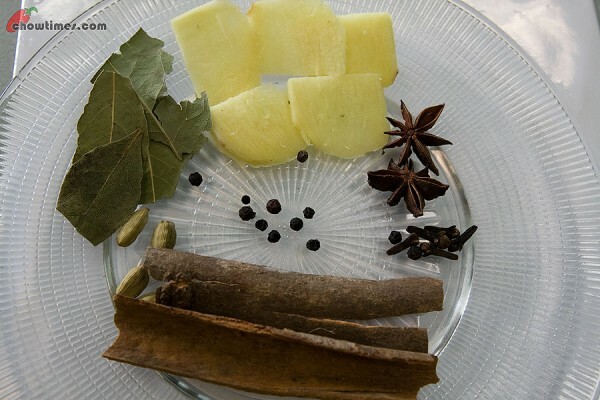 Vania also did some research of the health benefits of some Indian spices. Vania, thank you for sharing. 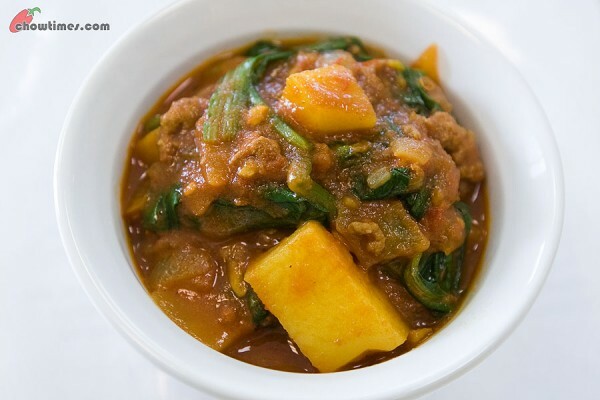 For the main course, Minoo made a Ground Beef Curry for the Indian theme at the Caring Place Community Kitchen. I did not use beef on the title as most population in India are Hindus who do not eat beef. I do not want to be offensive. 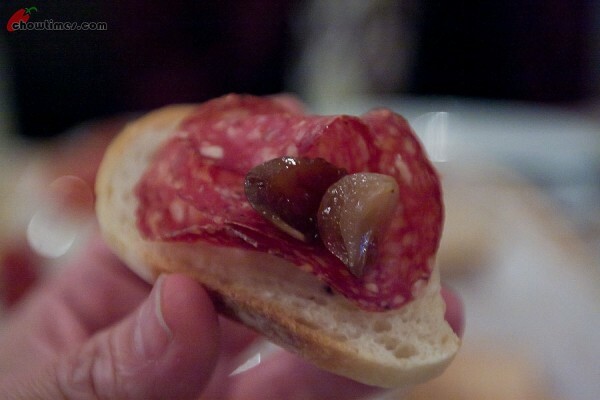 You can substitute the beef with other meat like chicken, turkey, lamb or pork. This is the last community kitchen at the Caring Place for 2009. 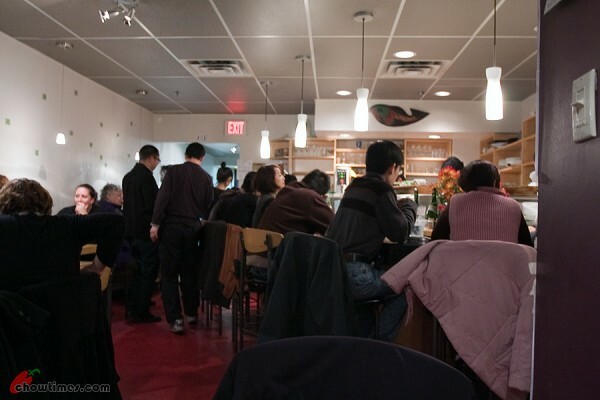 The reason is the Caring Place kitchen is fully booked for Christmas parties until end of the year. Minoo has chosen an Indian theme for this meeting. I love to learn cuisines from other culture. 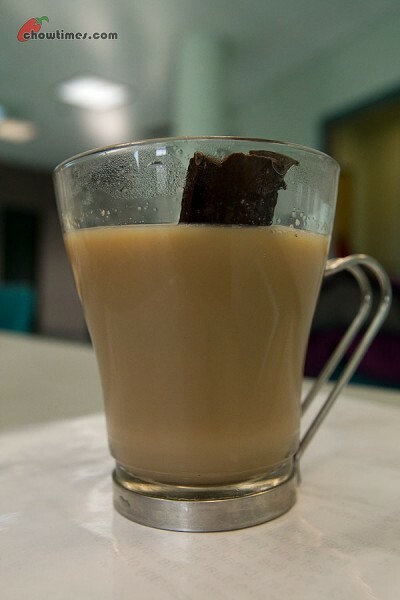 Minoo made a popular Indian drink which is the Spiced Chai Tea. The black tea is flavoured with various spices like cinnamon, cardamom, ginger and clove. You can serve it with milk or as it is. In India and Pakistan, Chai Tea is called Masala Chai. Masala means spices. This is one restaurant that truly excites me and I have a feeling it will make you sit up and take note too. I know. You might think what is the big deal about yet another Vietnamese restaurant. 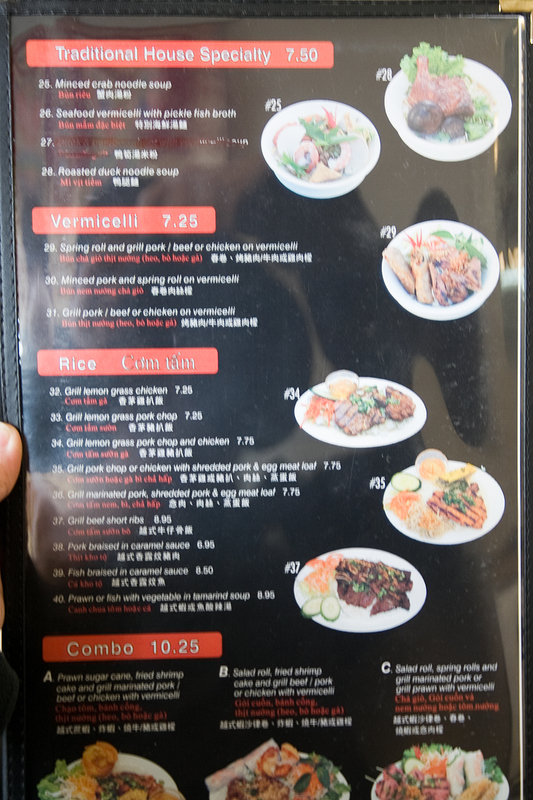 Well, besides that this is an authentic Vietnamese restaurant, they serve something we had never tried before and are very good. 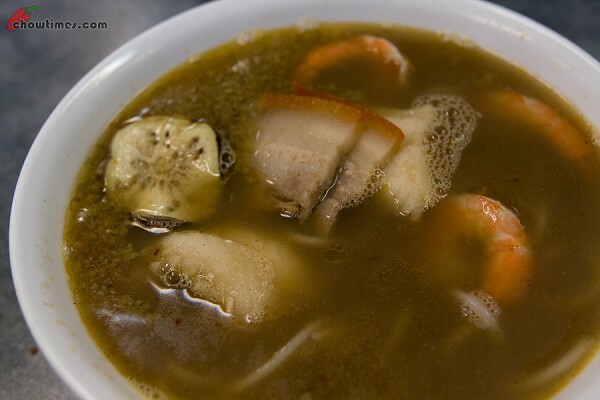 Something better than Pho! The window has a neon light that says “Got Pho?” but that was not what we were excited over. 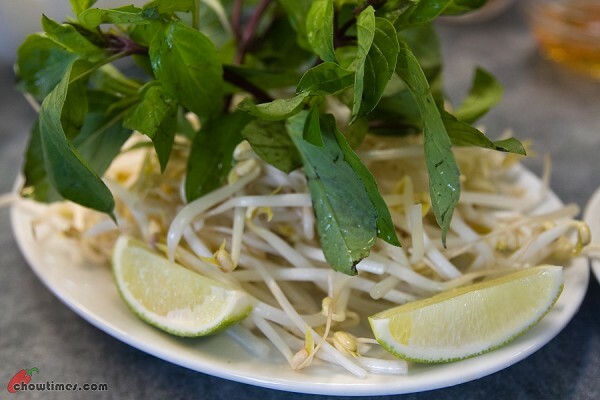 We went to the Thien Kim Vietnamese Restaurant (translated as Golden Heaven) last weekend. 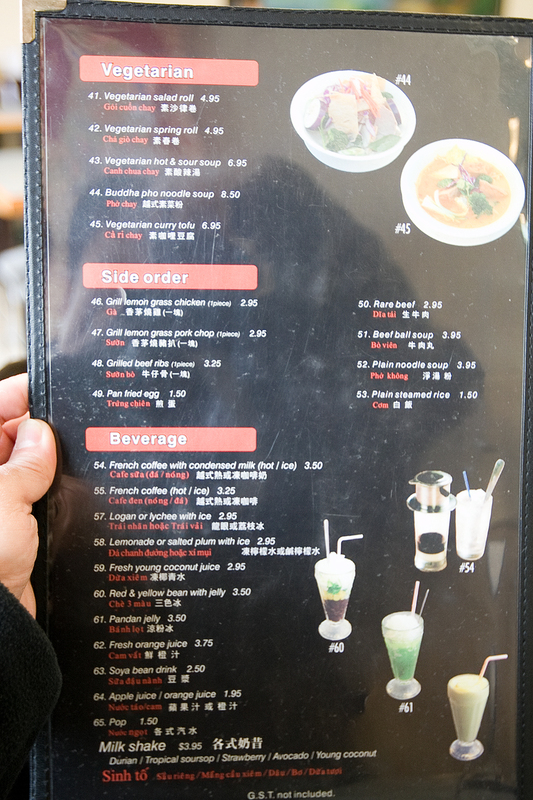 What we had was Vietnamese Noodle Soups … FOUR different types of noodle soup … and none of it is Pho. 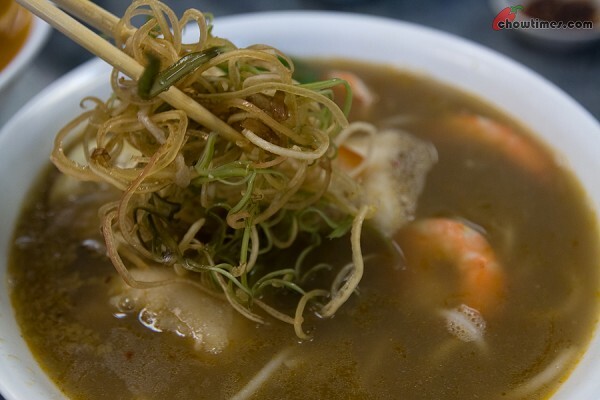 For those of you who are bored with pho, wanted a variety but crave Vietnamese style noodle soup, this is it. 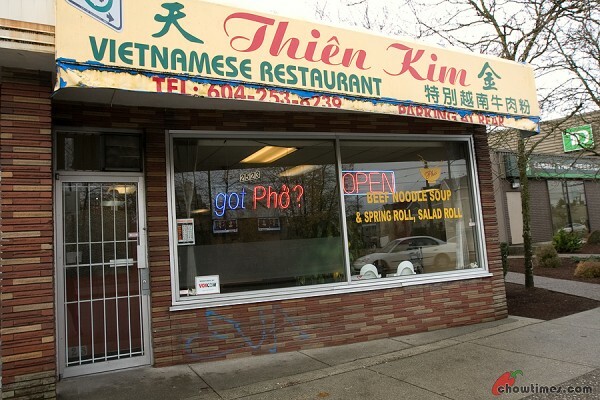 Thien Kim is located on Nanaimo just south of Broadway in Vancouver. 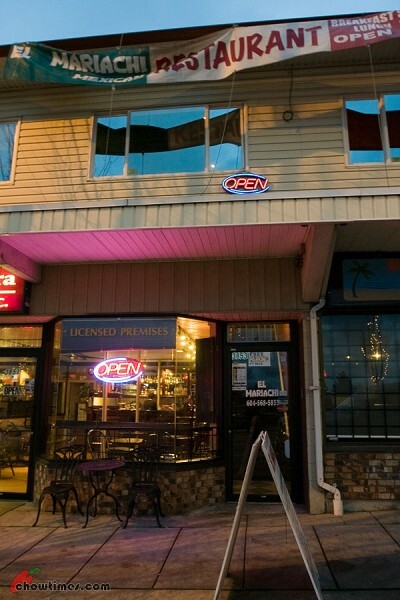 Their address is 2523 Nanaimo Street (Google Map). 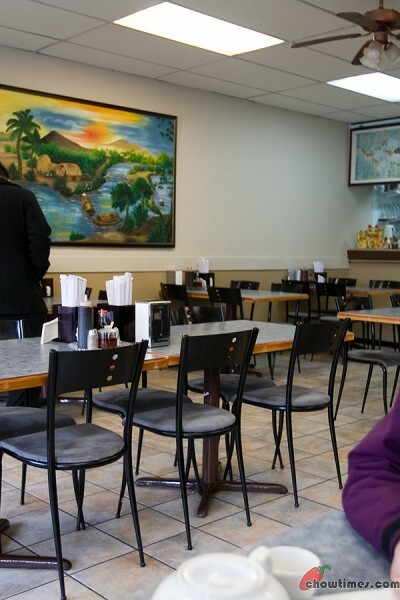 Thien Kim is just a mid sized Vietnamese restaurant. There is nothing remarkable about it. Judging from the outside, I would never have chosen to eat here. Inside, it is clean and a bit too spacious if you ask me. It seems like they just got some tables and just arranged it to fit the space they have. The reason I say this is because while the walkway is spacious, the tables were too small for pho. You know how much space a decent bowl of noodle soup takes up. I tried looking for reviews on the internet of Thien Kim. I found none. Nothing on dinehere.ca. None too on Urbanspoon. The waitress came very fast with the menu and a pot of tea. She was sweet and friendly. She also spoke in a strong Vietnamese accent. Which is a good thing because it tells us that they are authentic. We just spent a couple of minutes looking over the menu and then put it aside. The menu was of no use to us. We already know what we wanted to order. We came armed with a list of recommendations! Steven wrote to us for the first time last week. Suanne and I do get lots of recommendations from our readers. There are always a few every week. Our waitress was amused that we ordered our dishes with the printout of the email. She was a bit stumped over some of the Vietnamese spellings that Steven wrote but we finally sorted it out with the detailed description on the email. So here we go. 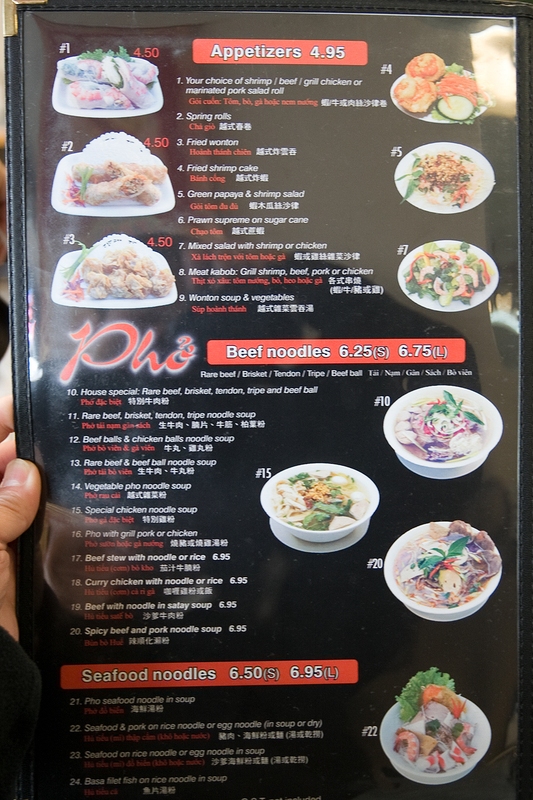 Between the four of us (Nanzaro, Arkensen, Suanne and I), we ordered two appetizers and four bowls of noodle soup … and one more time … none of them are phos. Steven recommended the Fried Shrimp Crackers. 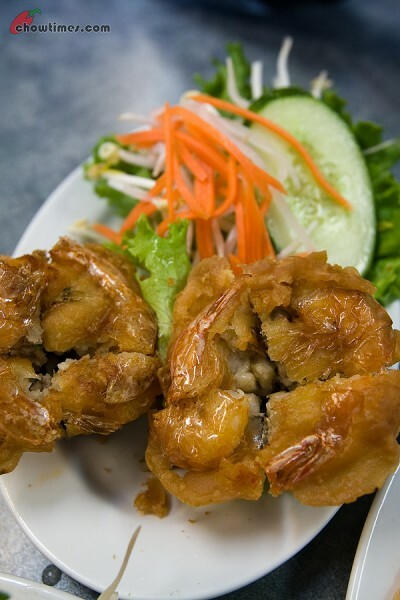 They call this Banh Tom in Vietnamese. This is not on the menu. They usually have this served as a side with the seafood or pork noodles but since we wanted to try this alone, she made a plate of four for us and charged us $5. This is really good. The crackers are the hard crunchy type if you know what I mean. It takes a bit of a bite to break it. 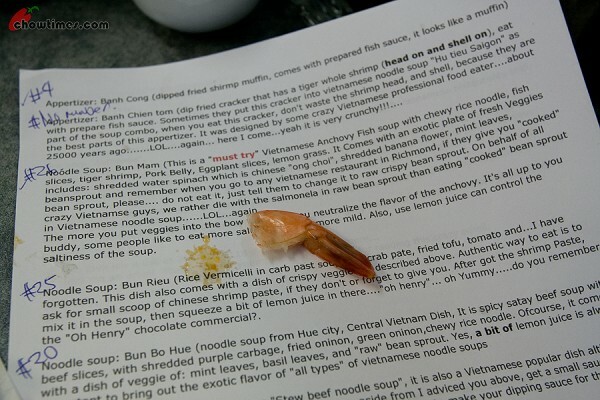 The prawns were so deep fried that you eat the prawns whole … shells and all. This one is new to us. 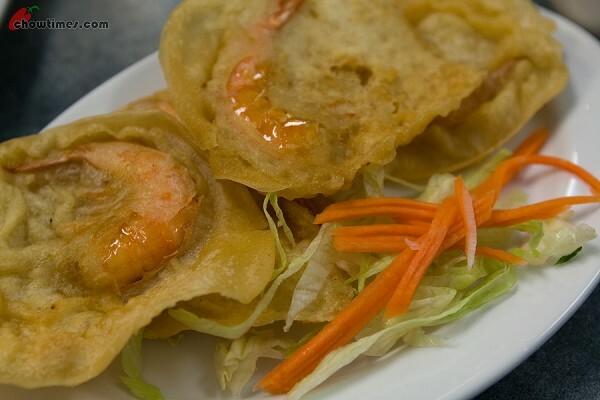 It is called Banh Cong (Fried Shrimp Cake) and is also $5. We love this a lot. It is shaped like a muffin. 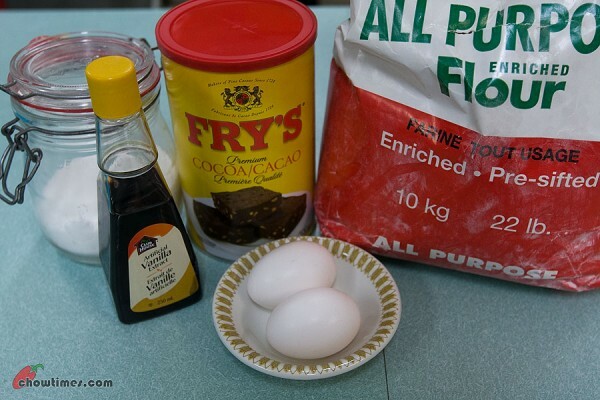 Suanne thinks that they make it with muffin pans, bake it and then deep fried it. It is best eaten with hands. Serious. 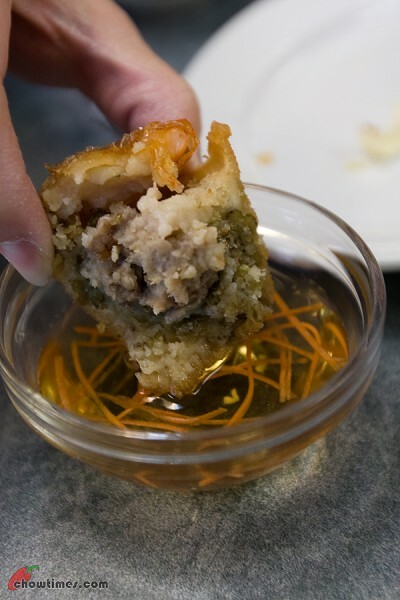 There is nothing compared to breaking the muffin and dipping it in the fish sauce with hands, just like the way it is meant to be eaten. Even though this is deep fried, it is not greasy or oily. I think a pork version would be great too. Nothing to see here. Move along now. 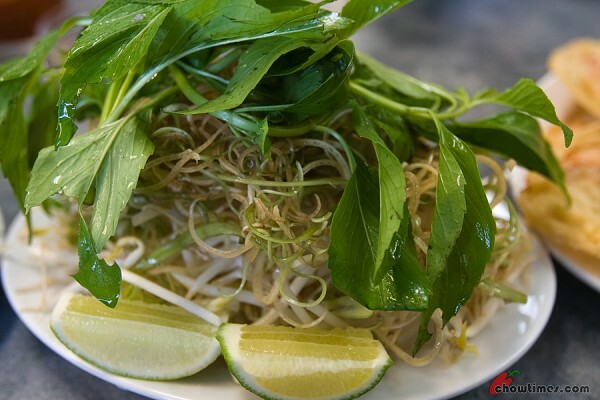 This is just bean sprouts and basils. They also gave us another plate. Something different. Our waitress said that this is banana flower and mint. The banana flower and mint is for the anchovies soup as we were told. We were told (albeit too late) that we must dunk the banana flower as soon as it is served with the broth is still piping hot. Have you ever had anchovies soup before? I had never seen this before but I can tell you the soup is absolutely delicious. We love it. 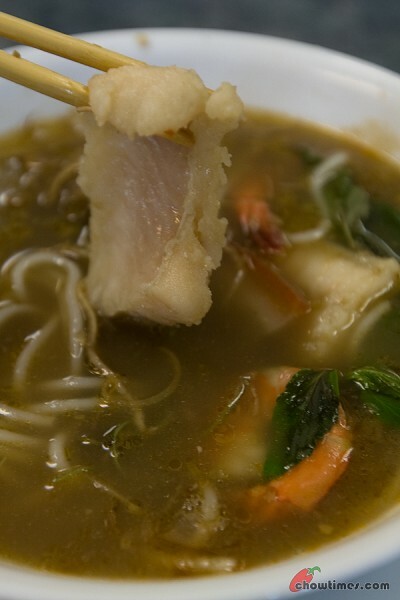 On the menu, this is called Seafood Vermicelli with Pickle Fish Broth ($7.50). When Suanne and I first started blogging almost 4 years ago, I remember there were about five food blogs. Today there are so many that I had no time to read all of them, let alone get to know each one personally even though I would love to do that. Among all the food bloggers, in our eyes there is one who had managed to do something that no other food bloggers had ever done (and will very probably never achieve) … and that is to land an interview on the morning news on TV. You probably know him … Matt of VancouverSlop.com. Matt and I met over dinner last week after work. 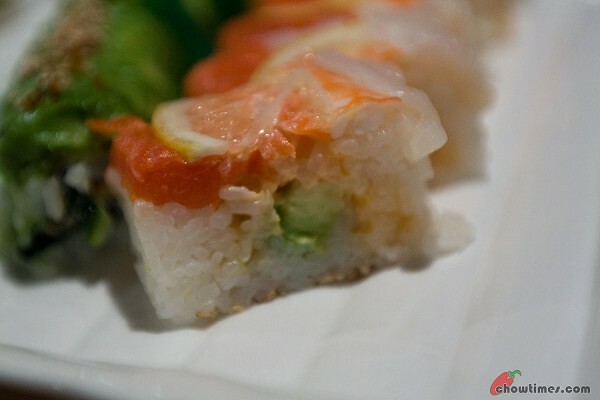 Our choice of location is Toshi Sushi which is one of the most popular Japanese sushi restaurant in Vancouver. 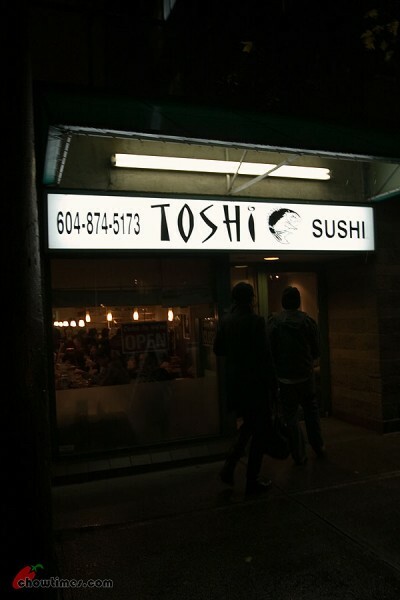 Toshi Sushi, located on East 16th Ave just west of Main, opens only for dinner. Their dinner hours starts at 5PM. So we decided to meet at 15 minutes before they open their doors to get a table. Even at that time, there were already a line despite it raining and there were hardly any cover from the elements. Yeah, we waited in the rain. 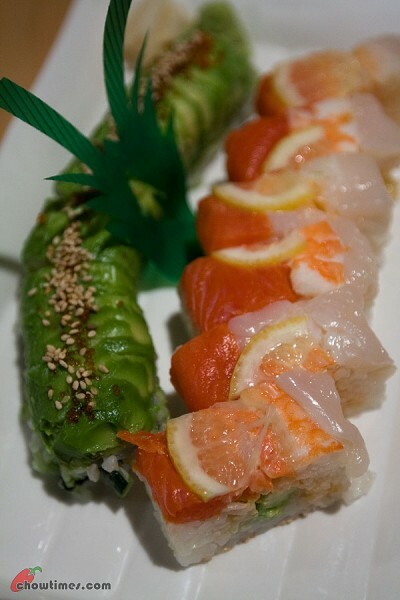 Toshi Sushi is very popular. It is so popular that they do not think twice about imposing rules on their customers. 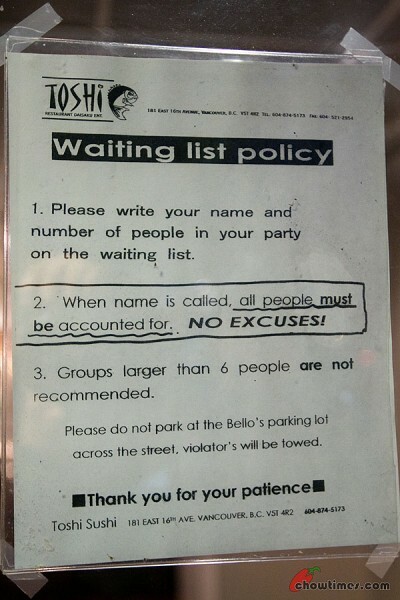 They discourage groups larger than six … can you believe any restaurant saying that? It seems like they are so popular that they do not have to think twice about offending a customer because there are more than they can handle anyway. Since Matt and I were second in line that night, we did not have to wait for a table. 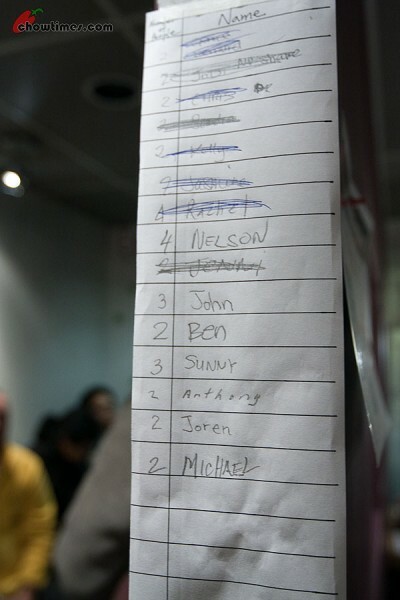 But for those who could not get a table in the first sitting, you place your name on the name list and wait patiently. I have read that waits could be an hour, or more. One particular “NO EXCUSES!” (in caps and exclamation mark) rule that you need to observe is that EVERYONE in your party MUST be present before they seat you. There was one particular review I read that someone put in 4 person to the party. When they were called, one person in the party were running late. So the party of three got seated and when the waitress found that there were only three, the waitress asked them to vacate the table and threw them back to the bottom of the list … and that is despite the customer offering to order for FOUR people. Can you imagine that? These kind of stories makes a legend of a restaurant. That reminds of the famous Soup Nazi scenes from Seinfeld. So be warned OK? When they said “NO EXECUSES!”, they mean it. It’s in black and white … caps and exclamation mark. Play by the rules and you will be alright. Toshi Sushi is really small. That’s why they find it hard to accommodate parties larger than six because it is just impossible to time an opening for that number of people. Their name of the game is to turn the tables as fast as possible so that they can fill as many stomachs as possible. With all these legendary stuff in mind, I thought that service would be horrendous. It was not. Our waitress was pleasant, patient and helpful with the questions we had for her. Since Matt had dined at Toshi before and knows this restaurant very well, I left most of the ordering to him. We started off with two rolls. You will not find the above roll on their menu. Only a regular like Matt would know of its existence. 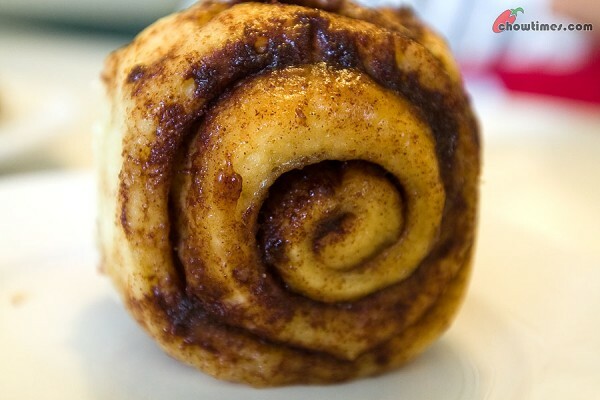 This is simply called the Box Roll. It has salmon, prawns, scallop, mayo and lemon. It is the lemon that gives this a very different flavor. It is pretty good and you should try ordering this. 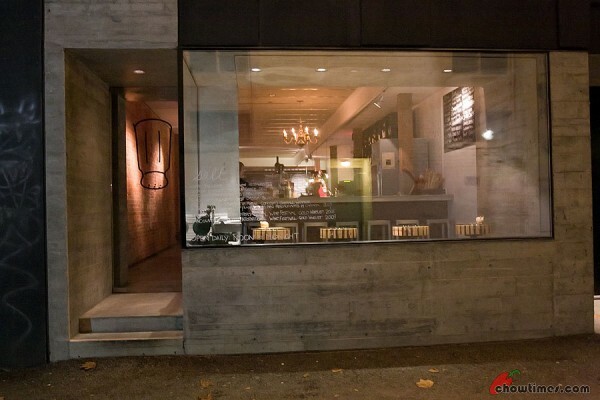 Updated: 22nd Nov 2014; This restaurant is closed according to Urbanspoon.com. Suanne and I told ourselves that we need to just give Mexican cuisine another try. Truth be told, our impression of Mexican food is of beans and mushed up food. I just don’t like beans personally. So, a couple of weeks ago I happened to speak to Alejandra in the office about Mexican food and the fact that I dislike beans. She was quite livid that my whole impression of Mexican cuisine is just all wrong. I did not think much about it after that but when I got back to my desk later on, I found an email in the inbox from Alejandra with a list of her favourite Mexican restaurants … along with the recommended dish to order! Perfect. 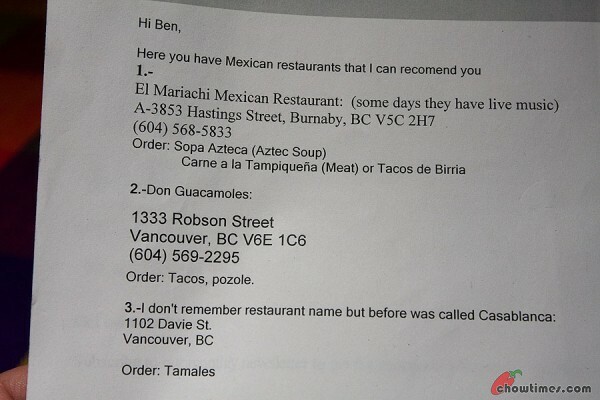 This is just what I like — a Mexican recommending their favourite Mexican restaurant. You can’t get a more authentic experience than that. BTW, see her third recommendation above. Does anyone know which restaurant she is referring to? 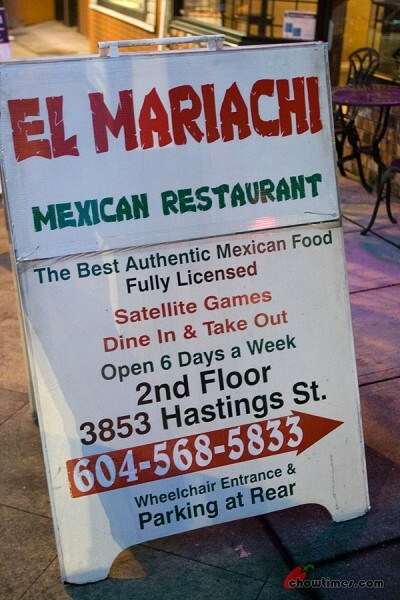 So, Suanne and I went to El Mariachi for our Friday dinner. You know what we like about this place … the fact that it is so unknown and yet to the Mexican community, they are well known (or at least that’s what Alejandra told me). There were very little reviews found of this place. Moreover, if you walk along the street, you will very likely not even know they existed. It is located upstairs with just a banner that announces their existence. If you walk along Hastings in Burnaby (between Boundary and Ingleton Ave), the one thing that might catch your attention is the sandwich board just outside their entrance. What greeted us was a surprise. It was more than what we expected. The whole place was colourful and bright. They were playing very catchy Mexican songs. So it was just perfect having just stepped out of a blustery and wet day — warm decor, warm colors and warm welcome. Alejandra told me that they have live music but it’s only on the weekend. Actually, the place was quiet for the Friday night. It was just us and another party who dined there. The waiter was a cheerful guy. For drinks we asked for something Mexican. He recommended a Mexican pop for Suanne saying that the Jarritos is Mexico’s national soft drink which uses the nation’s favourite fruit flavours. Jarritos is to Mexico what Coca-cola is to the US. The drink is not very fizzy and not too sweet. 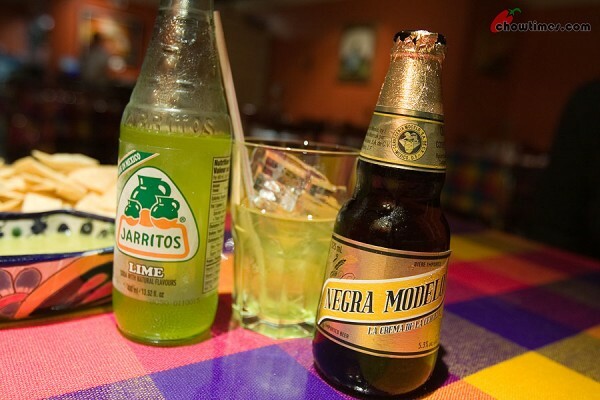 For me, I had the Negra Modelo. This dark beer came in an unique fat bottle. Seeing that we were asking a lot of questions about Mexican food, our waiter explained that in almost all Mexican restaurants, they provide free appetizer of chips. They came with a green salsa and a red salsa which was more orangey than red. The salsas was not spicy with the red one a tad more spicier. Suanne prefers the green salsa better because it has a sourness in it. The corn chips were great. Suanne can’t stop picking one up after another … something she regretted doing when the real food came. 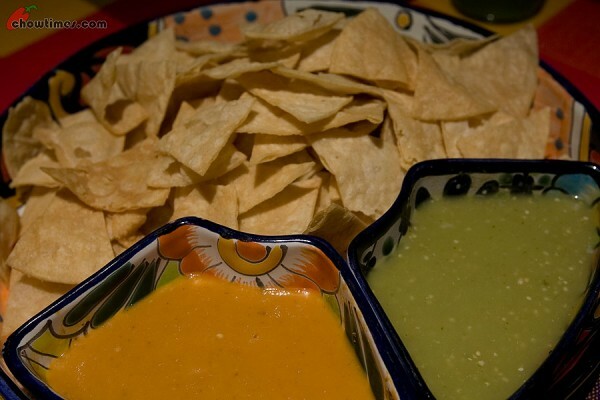 The salsas is the watery kind and not the chunky ones we are used to. 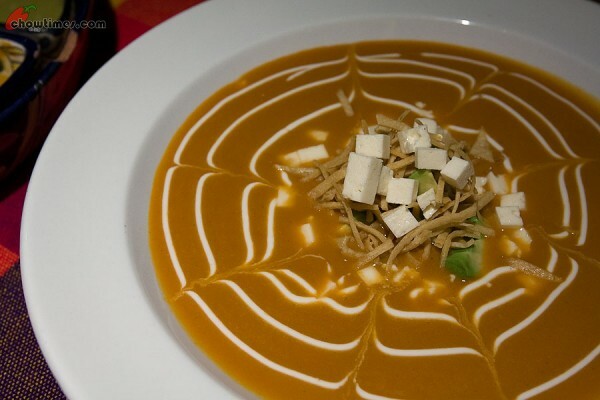 For our first course we wanted to order Sopa Azteca as what Alejandra recommended. 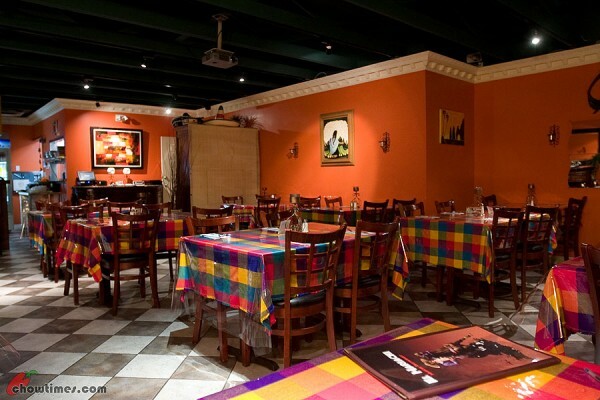 They said they don’t have the Sopa Azteca but recommended something like it … Sopa Tortilla. This is super awesome. Not only is it presented in such a delightful manner, it tasted great. It is tomato’ish and lightly spicy. Just the kind of thing we need for a cold day. In this soup are thinly fried tortilla, cheese cubes, avocado and garnished with cream. The crispy fried tortilla gives the soup a whole different texture and the cheese provides that tinge of saltiness to the flavour. This time Suanne and I wanted to try something that is out of the ordinary. We went to a “restaurant” that is somewhat shy of publicity. You don’t normally read about them but you hear about them by word of mouth. The Salt Tasting Room for all its reputation is located in the unlikeliest of all place. It is located in a dark alley called Blood Alley. The alley is lined with garbage bins with some clearly homeless people hanging around. Oh yeah, it is not an alley you would normally go down. If you are not sure if you got the right alley, look for the upside down salt shaker banner before you venture down it. Really, it is safe but this place can easily give one the creeps. That is the alley where the Salt Tasting Room is located. He he he … even Google Streetview happen to capture someone rummaging the garbage bins. 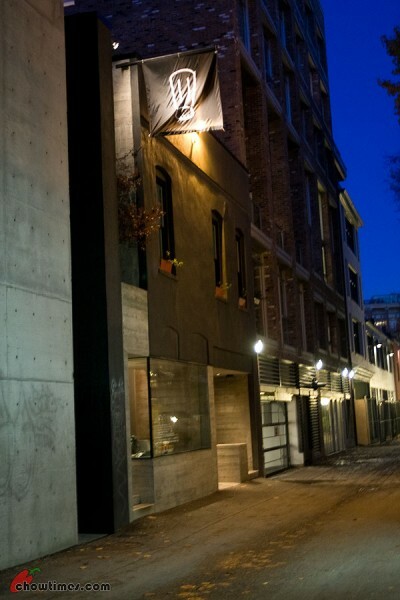 But right in the middle of the creepy dark alley is one of the most inviting restaurant entrances you will find. It really feels strange. The decor in the Salt Tasting Room is simplistic and minimal with exposed brick walls, unfinished concrete floors and simple wooden tables. I would even venture to say it is spartan. Although the ambiance is very unique, this is not a place where you will call it cozy or comfortable. One thing you want to know before you continue is that the Salt Tasting Room does not have a kitchen. This is very much a meat, cheese and wine place. 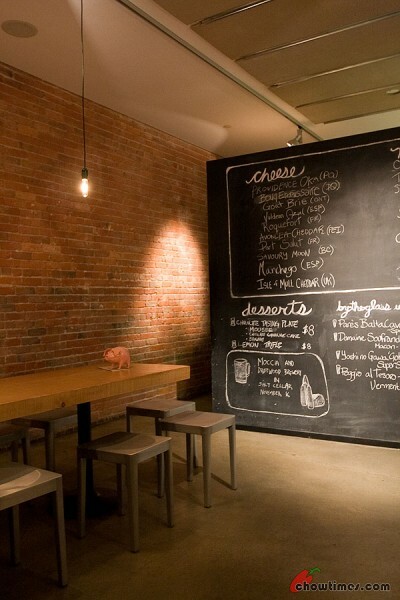 All their offerings are hand written on the large chalkboard at the end of the “restaurant”. Interesting concept. We looked at the chalkboard for the longest time and don’t know most of what is on it. We were clearly lost! Our waitress was really great in helping us understand their offerings. Basically, for $15 you get to choose a combination of three cheeses or meats from their vast array of choices along with three condiments. 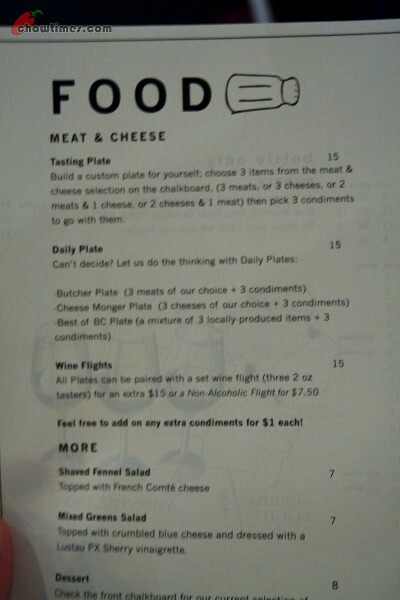 In addition, you may also opt to have the each of the cheese/meat paired with a flight of wine ($15) or non-alcoholic drinks ($7.50). With this info, we could actually get this from Granville Island on our own if we want. To go with the meats and cheeses are two types of bread and one crispy biscuits.